Scientology - It's even crazier than you thought! Like other expose styled documentaries, Going Clear's biggest flaw is that it's too short and you want more from it. Like anything that director Alex Gibney made, it's unsettling and a scathing indictment of its subject matter. It is prudent enough to first go back in time and lay the blame on its founder L. Ron Hubbard, a figurehead who presented himself as an international man of mystery, a renaissance man, and a visionary. In truth, he was a hack writer, a wife beater, and most likely a mentally unbalanced con artist trying to get rich instead of religion. Those who inherited his legacy are no better and the celebrities who espouse allegiance are portrayed as unwiting pawns for the most part. It is distressing to see such a bizarre and odious organization is given so much leeway. The Message is Clear - Who Will Listen? No posts have been made on this movie yet. 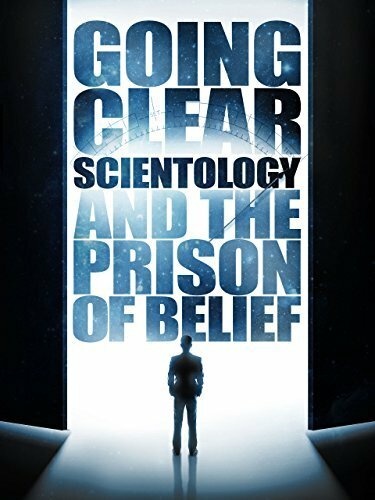 Be the first to start talking about Going Clear: Scientology and the Prison of Belief!